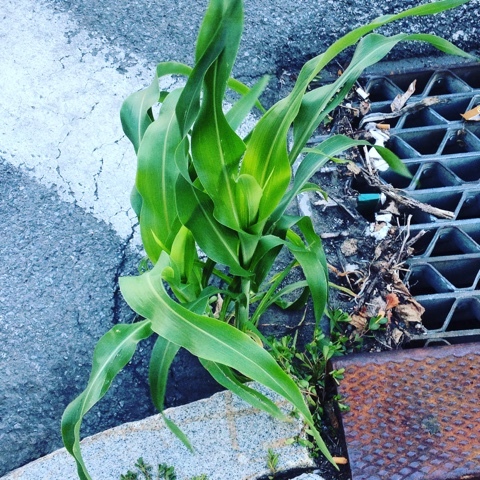 Walking a few days ago in my city, I nearly tripped over stalks of corn. Growing in a crack in the street in a busy downtown area. I have no idea if birds or humans are responsible but I'm amazed that months have gone by without anyone running it over or stepping on it or just pulling it out of the ground. On top of that, we've had so little rain that it's stunning to me it was able to germinate and grow. Not quite a mile high by the Fourth of July but still...pretty stinking awesome! Life is full of funny, little surprises.